Posts have been slow over the last week or so for one reason; the Crossfit Games. As far as I'm concerned, it is the only contest that can truly determine the fittest person in the world. The two people above are them. Graham Holmberg and Kristan Clever are the 2010 male and female champions, each with dominating performances in nine grueling events (some of them back to back). These two also made it through sectional and regional competitions just to make it to the Games this year. Many people will argue that triathletes and decathletes, or even some athletes in traditional sports are the fittest in the world. A good argument, but other sports usually require an athlete to train for specific events. Crossfit is exactly the opposite. Crossfit Games competitors did not know what workouts they would be performing until hours, minutes, or even seconds before they were required to begin them. I guess the only way to tell if anyone in any other sport may be as fit is to have them compete. 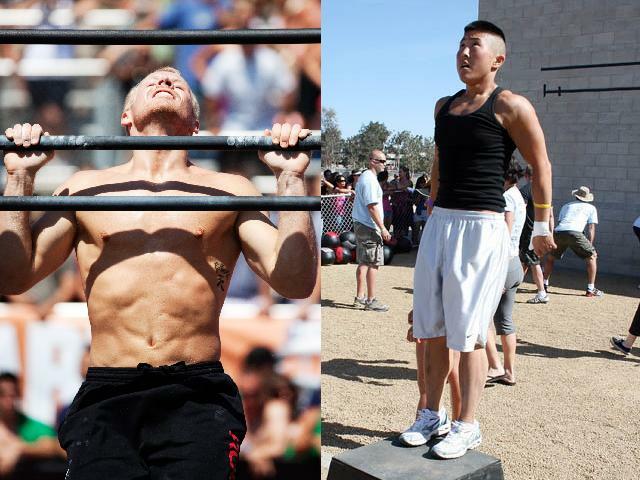 See all of the amazing performances and complete coverage of the Games at live.crossfit.com while it's still up.